Character Levelling = Weapon customisation - Players make weapon decisions at certain points in their character(s) levelling. Normally, only one weapon may be chosen. This reward allows the player to choose both options for one decision on one character. 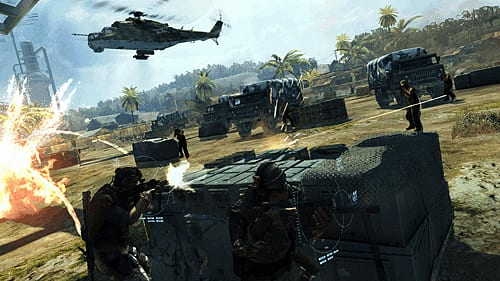 Part of the Group for Specialised Tactics, a Special Mission Unit under the direct command of the Joint Special Operations Command, the elite of the modern US Special Forces is better known by their battlefield legend. They are the untraceable soldiers called the Ghosts. 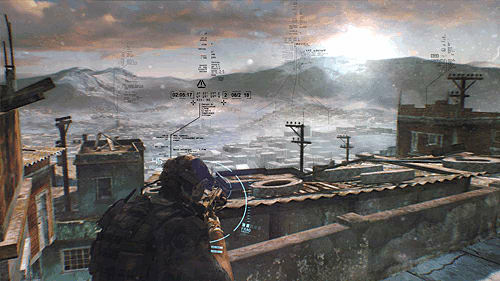 When a stolen military-grade bomb takes out a Ghost squad, a new Ghost Unit must track down the source of the weapons. But the trail Kozak, Ghost Lead, Pepper and 30K follow leads around the world, into the corridors of power where rebellion and war are brewing. Soon, the Ghosts are all that stands between the world and global conflict. 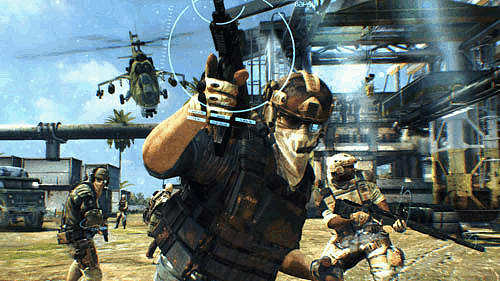 In the role of Sergeant John Kozak, a new squad member, fight alongside 3 veteran operators in a character-focused 10h storyline. Your team takes the battle to 8 spectacular locales, from the heat and dust of Africa to the Arctic Circle. Become the ultimate “quiet professional”, with unique stealth kills & brutal close-combat moves. Deploy with cutting-edge, authentic military tech, including more than 50 weapons. 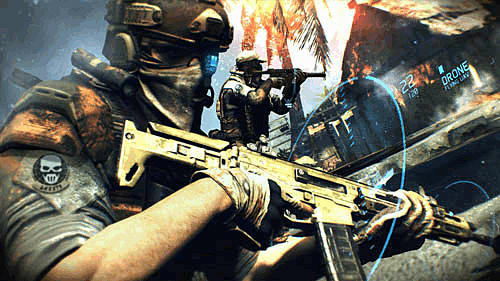 Use a new, visceral cover swap and shoot-from-cover ability, and feel the ferocity of the battlefield. 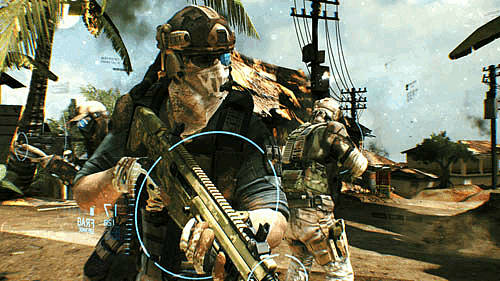 Activate your optical camouflage to sneak behind enemy lines. Watch out for civilians, collateral damages are not permitted. Take full advantage of your technology against overwhelming odds. Perform highly-coordinated takedowns and devastating large-scale strikes utilising multiple viewpoints. Master advanced drones like the versatile UAV, recognize and lock enemy positions from the air or from the ground. Deploy sonic blasts to incapacitate your targets. Order the devastating Warhound to fire guided missiles, or access it remotely to assume full control. 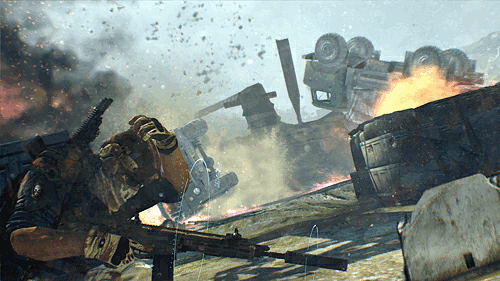 Unleash the firepower of mounted weapons systems from jeeps and helicopters, and bring death to your enemies. 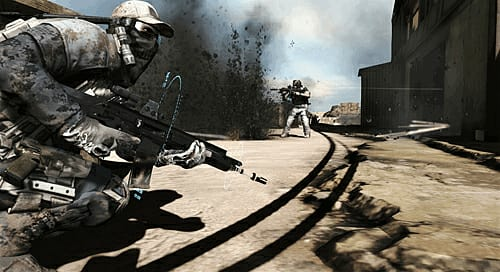 W.A.R (Weapon Augmented Reality) is the battlefield counterpart of A.T.L.A.S, allowing the Ghosts to synchronize their Cross-com to any weapon they use instantly. With that power in their hands, they can perform deadly sync shots with the Cross Target laser that identifies who’s in your teammates’ sights. Play through the 12 campaign missions with up to 3 friends. 4 vs. hundreds combat mode, inspired by real-life U.S Army counter-insurgency techniques. Enter, capture and protect a targeted area. Get rewarded then move to the next target. 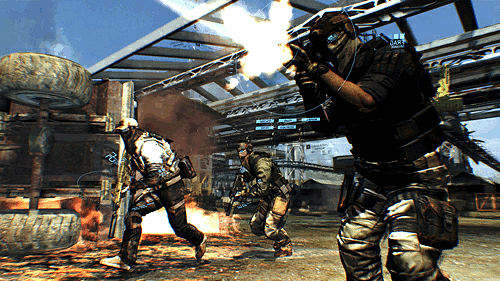 Play cooperatively online with up to 3 friends, or play on the same console & TV with the 2 players split screen mode. Prove yourself as valuable of the ghost against 50 waves-wave streak. The Gunsmith customisation mode lets you choose from dozens of attachments and components. Unlock new slots and new weapon parts, by spending points earned through character progression. Supported Operating Systems*: Windows Vista (with Service Pack 2)/ Windows 7 (with Service pack 1), both 32 bit & 64 bit versions.